The merger is far from an anomaly in Chicago’s financially-strapped Roman Catholic community. The Archdiocese of Chicago, which includes not just the city but also suburbs, has the largest Catholic school system in the U.S., and in 2015, there were nine closures and two other mergers in addition to St. Columbanus’s. There were three closures in 2016, and two more have been announced for the end of 2017. For the past decade, the Archdiocese of Chicago has been steadily making budget cuts. There have been several drivers of these financial difficulties. 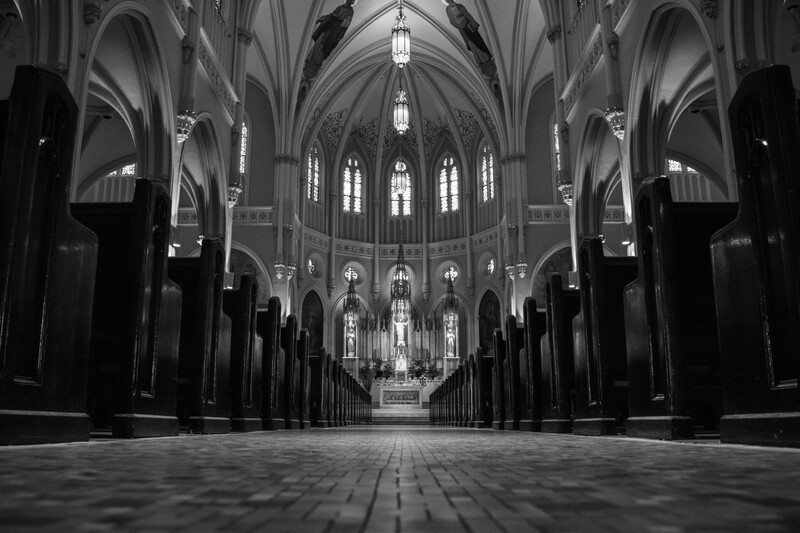 Not only has the archdiocese been significantly affected by the Catholic sexual abuse scandal, paying over $140 million to settle victims’ claims, but it is also facing a precipitous decline in church attendance; according to Crain’s Chicago, Mass attendance in the archdiocese dropped a hefty twenty-six percent from 1995 to 2015. Many factors play a role in these trends. The anemic number of priests in or entering the priesthood and great number of Catholics migrating to the suburbs (primarily an instance of white flight) have hurt the urban Catholic community and caused the numbers to plummet. Unfamiliar as the concept may seem, being Black and Catholic is not an oxymoron. While Black Catholics are a small community, with only 800 parishes predominantly Black out of almost 21,000 Catholic parishes in the U.S., they are a strong and united one. During the Great Migration, when many African-Americans migrated from the South to urban environments in the North and West, the number of Black Catholics skyrocketed. Matthew J. Cressler, assistant professor of religious studies at the College of Charleston, notes in his lecture “Black Catholics: From the Great Migration to Black Power” that the Black Catholic community grew by 208 percent nationwide and by a whopping 400 percent in the Midwest from 1940 to 1970. By 1970, the Windy City had “more Black Catholics than Washington, D.C. or New Orleans.” Now, though, they make up just three percent of the Catholic population in Chicago. Even of the nearly ten thousand Black students currently enrolled in Chicago Catholic schools, the majority (nearly seventy-eight percent) are not themselves Catholic, unlike students of other races. Why, then, has the Black Catholic community declined? The ongoing legacy of white flight may help provide an answer. The movement of whites en masse from cities to suburbs in order to escape the influx of minorities may have begun as early as the 1920s, according to a working paper by University of Pittsburgh economists. On one hand, the Black community overall in Chicago and other urban areas at first became more stable because of white flight, with an increase of home ownership, according to a paper from 2013 in the Journal of Urban Economics. More properties became available, and getting credit and loans became more accessible. But on the other hand, this out-migration had an overall negative effect on Catholic populations in Chicago, including in Black communities. The population of the Archdiocese of Chicago, which covers Cook and Lake Counties, shifted from seventy-seven percent living in the city in 1950 to forty-six percent in 2010, while the population in the Cook County suburbs grew in that time from nineteen to forty-two percent. And when these white Catholic families left the city, they took their finances with them, causing many parishes to struggle economically—including predominantly Black ones. This movement to the suburbs in recent years especially, and the resulting redistribution or loss of resources, has been a factor in the Archdiocese’s severe budgets cuts since 2012—a year they were operating in the red by $40 million. Other changes also affected parishes’ finances, including the decrease in women becoming nuns. Their role as Catholic school teachers was filled by laypeople, who cost more to employ. Beverly Carroll, the founding director for the Secretariat of African-American Catholics, told the National Catholic Reporter in 1998 that there hasn’t been a “mass exodus” of Black Catholics from the Catholic community—but even then she recognized that there had been a steady decline due to systemic racism and parishioners feeling like their needs weren’t being met. As one of the parishes that was ultimately affected by all these factors, St. Columbanus had to close its school to form the Augustus Tolton Catholic Academy. 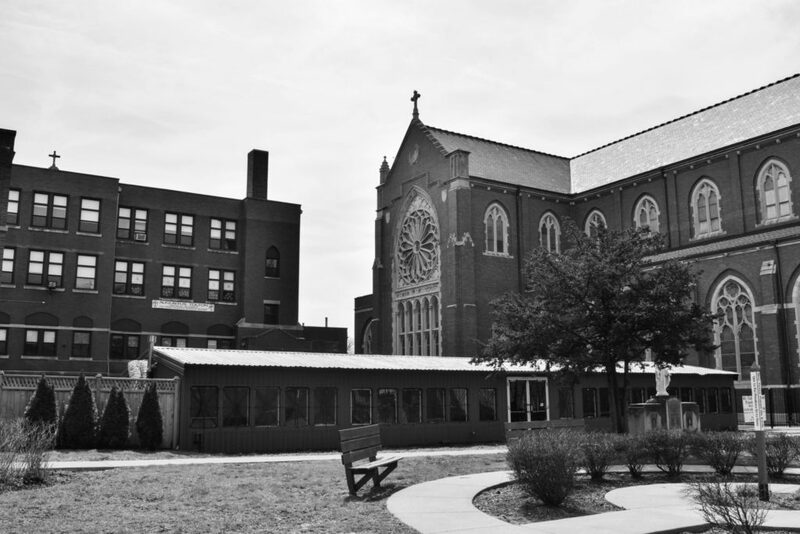 Though St. Columbanus was in the thick of things in the neighborhood, at 71st Street and Calumet Avenue, it had a small-town, family feel, and when it closed, its traditions and history went with it. Though the closing of St. C is the end of an era, Augustus Tolton Catholic Academy signals a new season in not only the Black Catholic community in Chicago, but in the Catholic community as a whole. While there has been a decades-long decline in Catholic school enrollment numbers, new Archdiocesan superintendent Jim Rigg expects a change in the near future. He told the Sun-Times that he’s ready to overhaul the largest Catholic school system in the country with a “strategic plan” that “represents growth and expansion and optimism.” Its five focuses are financial vitality, academic excellence, leadership, governance, and Catholic identity—all of which are emphasized in the information on Tolton’s website, particularly its mission statement. Cain-Cauley, the 1980 alumna, has two sons who graduated from Augustus Tolton, and she thinks the difference between this reincarnation and St. Columbanus is that Tolton Academy lacks “unity.” The parents stick to their own cliques, she said, and there’s an “us vs. them” mentality between the parents of students from the two schools. Academically, however, the school is well-equipped to prepare students for today’s high-tech world—Tolton is the first Catholic elementary school in Chicago to incorporate a STREAM curriculum. Wilson herself sees Tolton’s curriculum as an exciting new direction for the school and a source of hope—an opinion she’s formed firsthand, by volunteering at the school for the past year and a half. The closing of St. Columbanus may be the end of an era of community vitality and sense of family, but the opening of Augustus Tolton Catholic Academy is the renewal of the school’s original spirit and academic direction.